Located on N Saguaro Hills Ave, south of W Chinden Blvd, Extra Space Storage serves residents of Meridian, Two Rivers/Banbury, West Cloverdale, Heritage Grove, and more. Locals will recognize our facility a half mile west from Valley Life Community Church, and a half mile east from Zamzows Chinden. 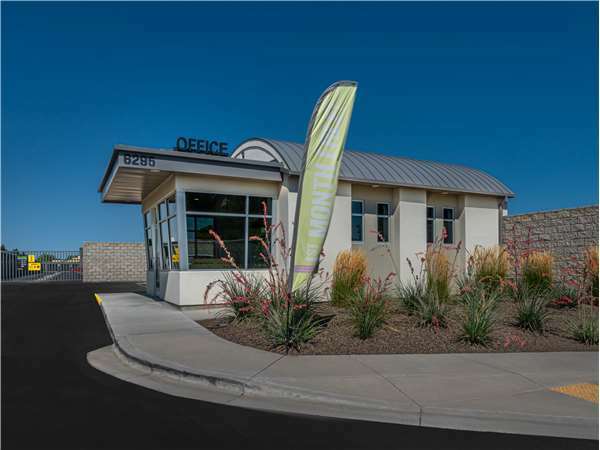 Extra Space Storage on N Saguaro Hills Ave offers customers a range of storage units, exceptional security, convenient access, and more in Meridian. We are the storage partner you can trust! With storage units ranging in size from 5x10 to 14x18, and features like indoor access, first-floor access, and drive-up access, our Meridian storage facility can easily accommodate your residential or commercial storage needs. At Extra Space Storage, we make security a top priority. That's why our Meridian storage facility is equipped with top notch security features like 24-hour video surveillance and electronic gate access. Save time and energy at our N Saguaro Hills Ave storage facility with drive-up access. Units with this amenity have enough room in front to park a vehicle, making the moving process a breeze. Units with drive-up access also can be used as a protective space for vehicle storage. Not only do we provide high-quality storage, but our service is the best in the business. Each member of our team truly cares for our customers, and will go above and beyond to ensure your satisfaction. With a range of storage units and amenities, our well-maintained facility and friendly team can easily handle your needs. Contact us today to reserve a storage unit in Meridian! Drive south on S Eagle Rd. Turn right onto W Chinden Blvd. Pass N Locust Grove Rd and continue west. Our facility will be on your left at N Saguaro Hills Ave.
Drive north on S Eagle Rd. Turn left onto W Chinden Blvd. Pass N Locust Grove Rd and continue west. Our facility will be on your left at N Saguaro Hills Ave.
Drive west on W Chinden Blvd. Pass N Locust Grove Rd and continue west. Our facility will be on your left at N Saguaro Hills Ave.
Drive east on W Chinden Blvd. Pass N Meridian Rd and continue east. Our facility will be on your right at N Saguaro Hills Ave.